Henry Wu worked as software developer in Chicago and decided to drop everything, sell his house and go travelling. In 2016 the man has registered travel-blog in Instagram but is sharing not places of interest of various countries but pictures of the meals from the airplanes. Henry flew almost with all big airline companies in the world and collected quite big gallery of pictures with his dinners in the skies. “I love to travel (in 2018 I flew 102 thousand miles) and during these years I’ve collected good collection of pictures of various meals from the airplanes but never knew what to do with it” – Henry told. 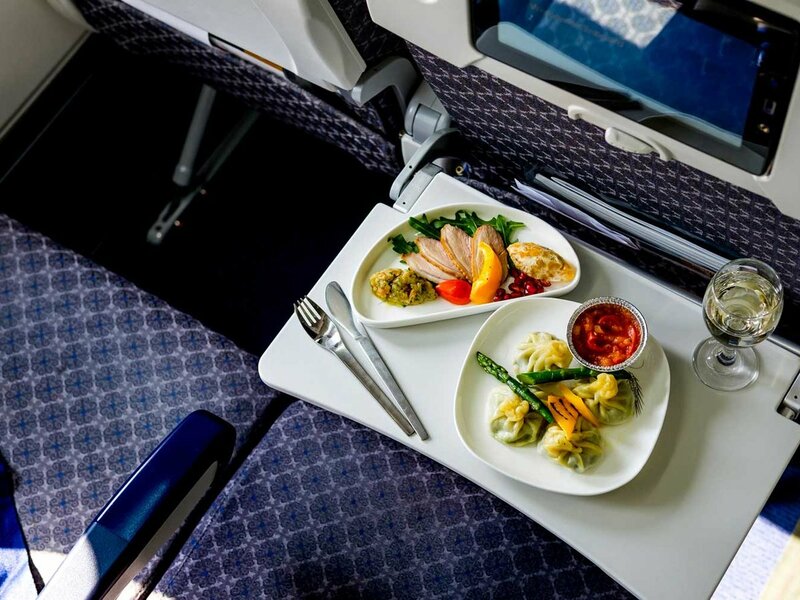 The man decided to share the pictures of the meals that are offered to passengers on the 10 thousand meters altitude in his Instagram account. According to these pictures no two economy classes are alike as on Henry’s pictures could be seen not very good looking containers with agglutinate Pasta and actually served tables with top-quality cuisine. For example, typical meal of American Airlines passenger who flies from Los Angeles and Hong Kong consists of pasta, vegetables and some meat. British Airways serves wine in economy class. Economy class passengers that fly from South Korean Seoul to Philippine Angeles with Asiana Airlines Company are served with baked potato, grilled meat and a dessert. On the flight from Seattle to Seoul with the same airline company passengers will be served with fresh vegetables and fruits, soda and metallic flatware and not disposable tableware. Delta Airlines serves passengers of Osaka-Honolulu flight with sushi and passengers of the flight from Paris to Pittsburg with big portion of Caesar salad. In a month after Henry has launched his account people from all over the world began to share his pictures with him. Thus his account got filled with the various launches from economy classes of different airline companies. Henry asks to estimate pictures by ten-point scale and major part of the posts get marks above the average (except pasta on the first picture).